There were no words left for her to say. No words to think. No matter how much she ran through things in her mind it wasn’t going to change the past, or influence the future. Dreams became nightmares; she had woken crying more times than she cared to remember. She wasn’t scared of ghouls or monsters, she was afraid of the ghosts of her past. The times she had smiled, the times she had been happy, the times she missed the opportunities put in front of her. Each tear was a painful memory. Across town he sat still. Staring into the open skies above the buildings. The same skies he had studied for the past three months. The stars recognised him now, they kept him company while the world slept. The world that he felt such a small, insignificant part of. He hadn’t slept for months. Each time he closed his eyes he saw the pain and hurt he had caused. The guilt ached in his heart. The tears had run dry, but it was not the end. They had been so close. Both in location and in heart. Things were so amazing, they were living the dream. Then it all fell apart. Distance drove them apart before they came together. No amount of smiles could hide the hurt this caused them both. She didn’t believe he shared her pain; to her it was his fault. He knew this was true, but he couldn’t help feeling he could have done more. Got past his reservations and been spontaneous. He tried to save her, and ended up making things worse. 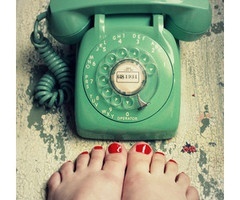 His hand hovered over the phone and glanced at the clock. 3am. Most people would be sleeping. But she wasn’t most people, and neither was he. Would she be sleeping? He hoped so. She deserved some peace, and it would continue to convince him not to dial the number. The clock ticked…tick…tock…tick…tock…his fingers tapped, beating a rhythm on the receiver. His brain was still arguing with his head when a shout outside brought him to his senses. Some young girls on their way home after a night out. She wasn’t like them. She shyed away from noise and from crowds. That’s what he liked about her. No, that’s what he loved about her. She couldn’t sleep. Her pillow knew all her feelings, and her walls listened to her thoughts. She ached to speak to him. She would even make do with hearing his voice. She hadn’t even seen him since they parted; he could have been anywhere. She hadn’t left her flat much recently…everything seemed too ‘big’ and scary. Work served to distract her from the outside world, and books served to distract her from work. But nothing saved her from her thoughts. About 3am she got up for some water. Her mouth was as dry as anything, and she needed something to do. Her eyes flitted over the phone as she passed. She willed it to ring. She willed him to ring. But she knew it was pointless, he had probably already moved on. ‘BBRRRIIIINNGGG!! !’ She almost dropped her glass. Silence. Had she imagined it? ‘BBBRRRRIIIINNNGGGG!! !’ No, there it was again. She had barely dared to dream it could be so. But wait, it wasn’t definitely him, it could be anyone. ‘BBRRRIIIINNNGGG! !’ Suddenly she was scared to pick it up. She didn’t want that moment of hope to be dashed by some cold caller. ‘BBBRRRIIINNNGGGG! !’ They were persistent…she would give them a chance. Slowly she reached out her hand and laid her slender fingers round the handset. 1..2..3..4..5..she lifted it to her ear. ‘Hello?’ He panicked. She had picked up. He stalled, not wanting to talk and not wanting to hang up. ‘Hello? Who is it?’ Her voice rang in his ears. He didn’t know what to do for the best. ‘Is that you?’ She didn’t have to say his name, he knew she knew. ‘Yes’ was all he managed before he broke down. It was all too much. ‘I forgive you’ rang out the voice on the other end. His heart broke, rehealed and broke again in a moment. He collected himself and spoke out. He was scared she would hate him. He had to know if forgiveness was sincere. ‘I could never hate you’ she whispered. Her voice was breaking as she spoke. He melted. They spoke for an hour before agreeing to meet the next day. Neither could believe they lived so close. It must be a sign. They parted at just gone 4am and slept soundly the first time in months. Tomorrow was the start of a new day.